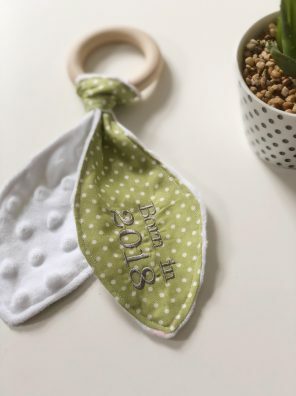 This beautiful personalised wooden teething ring has already been lovingly made up by our owner, Sian using a gorgeous green polka dot print and features ‘Born in 2018’ in a bold, silver font. There’s nothing wrong with this item, it just simply comes as is, meaning personalisation isn’t available. 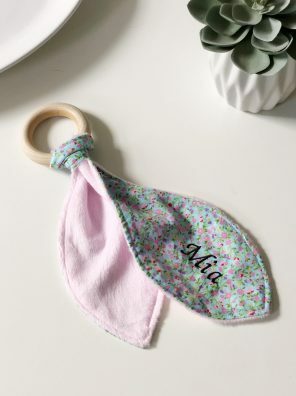 This beautiful personalised wooden teething ring has already been lovingly made up by our owner, Sian using a gorgeous lemon yellow polka dot print and features ‘Jessica’ in a bold, silver font. There’s nothing wrong with this item, it just simply comes as is, meaning personalisation isn’t available. This beautiful personalised wooden teething ring has already been lovingly made up by our owner, Sian using a gorgeous floral print and features ‘Mia’ in a bold, black font. There’s nothing wrong with this item, it just simply comes as is, meaning personalisation isn’t available. 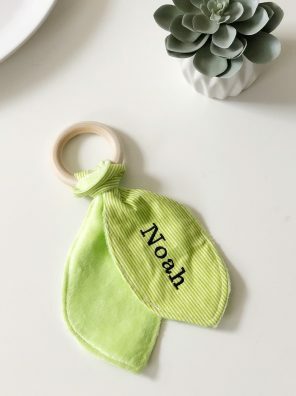 This beautiful personalised wooden teething ring has already been lovingly made up by our owner, Sian using a gorgeous green print and features ‘Noah’ in a bold, black font. There’s nothing wrong with this item, it just simply comes as is, meaning personalisation isn’t available. 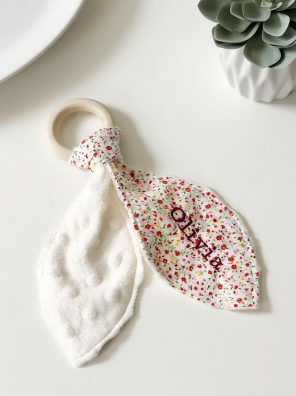 This beautiful personalised wooden teething ring has already been lovingly made up by our owner, Sian using a gorgeous ditsy floral print and features ‘Olivia’ in a clear, maroon font. There’s nothing wrong with this item, it just simply comes as is, meaning personalisation isn’t available. 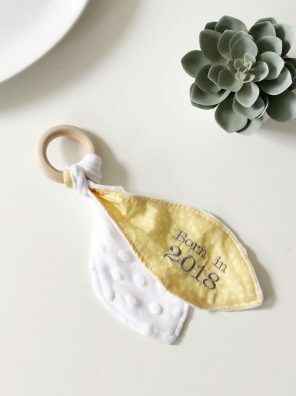 This beautiful personalised wooden teething ring has already been lovingly made up by our owner, Sian using a gorgeous yellow polka dot print and features ‘Born in 2018’ in a bold, silver font. There’s nothing wrong with this item, it just simply comes as is, meaning personalisation isn’t available. 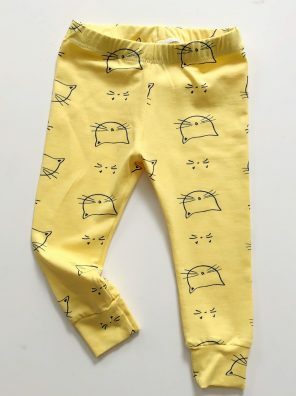 This beautiful size 12-18 month pair of yellow cat leggings was cut in the wrong place, meaning the direction of the main cats is facing the wrong way. 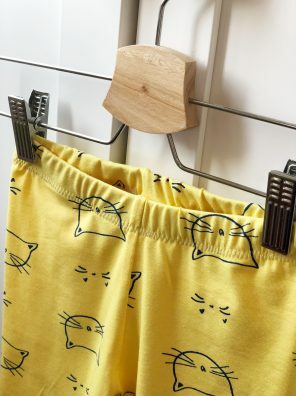 However because this print is in both directions, some of the kitties are facing the correct way in other places on the leggings.